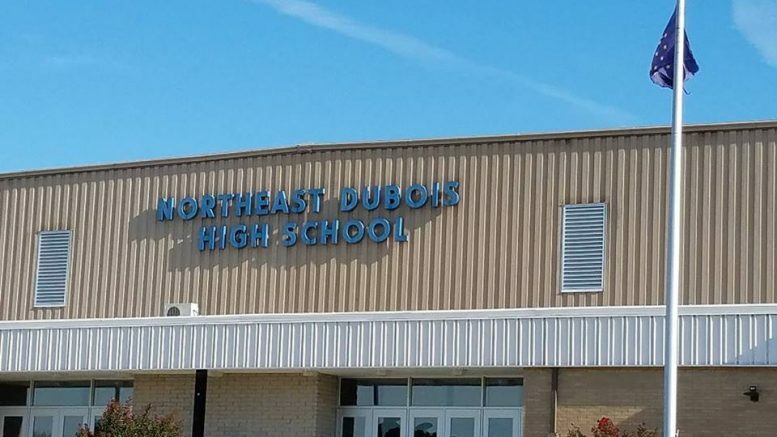 Tuesday night, the Northeast Dubois School Corporation met for their first of many public work meetings to see what the corporation can do in order to keep Northeast Dubois a great small school district. George Link, an architect from VPS Architecture, recommended that since they have put themselves on a tight timeline, the board should slow down the process of making any big decisions in regards to the corporation in order to make sure everything is done right the first time. This way they can focus on the project and the vision for Northeast Dubois. Each board member shared their thoughts on what needs to be implemented in making the school corporation better and focusing on the needs of the district. Academics, vocational, before and after school programs, extracurricular, and sports were all discussed on how each provides a way to mold a student into a well-rounded individual. The possibility of a public daycare system was also mentioned as well as YMCA programming. Northeast Dubois Superintendent Bill Hochesang says that the fact they are taking this process and stretching it out to ease the stress of the board and the public will really help in the long run to make sure things are done right. Hochesang also mentioned that the originally planned three public work meetings will not be enough to be able to make a decision on what needs to be done. As said before, the board wants to slow down the process to make sure it is done once and is done right. There will not be a decision made in February like originally thought. Hochesang says the board may not make a decision until around the beginning of the 2019-20 school year. The next public works meeting will be held this coming Monday, February 4th, in the Multipurpose Room at the Northeast Dubois Middle School at 6:30 pm. Be the first to comment on "Northeast Dubois School Corporation Slows Down Decision Making Process In Public Works Meeting"